Hester Finch’s comfortable life in Chichester, England, could not be further from the hardship her family endured on leaving Adelaide for Salt Creek in 1855. Yet she finds her thoughts drawn to that beautiful, inhospitable outcrop of South Australia and the connections she and her siblings forged there: encounters with passing travellers and the local indigenous people. Lucy Treloar was born in Malaysia and educated in Australia, England and Sweden, and worked for several years in Cambodia. Awards for her writing include the 2014 Commonwealth Short Story Prize (Pacific Region). Salt Creek is her first novel. Lucy lives in Melbourne with her husband, four children and two whippets. A beautiful read that I have recommended to all my bookish friends. Salt Creek is a story that immerses you into it, making you feel the struggle, the dilemma, rooting for the characters, especially the female ones, and for me ultimately wishing their experience could have been different. Brilliantly conceived and heartbreaking to read, Salt Creek opens itself wide for discussion of issues related to the impact of colonial idealism, whether it’s how it affects women and children, how it impacts and impedes the native population, the imposition of solutions by one group on the other, the inherent disrespect and disregard for a different way of life and what we might learn from it. 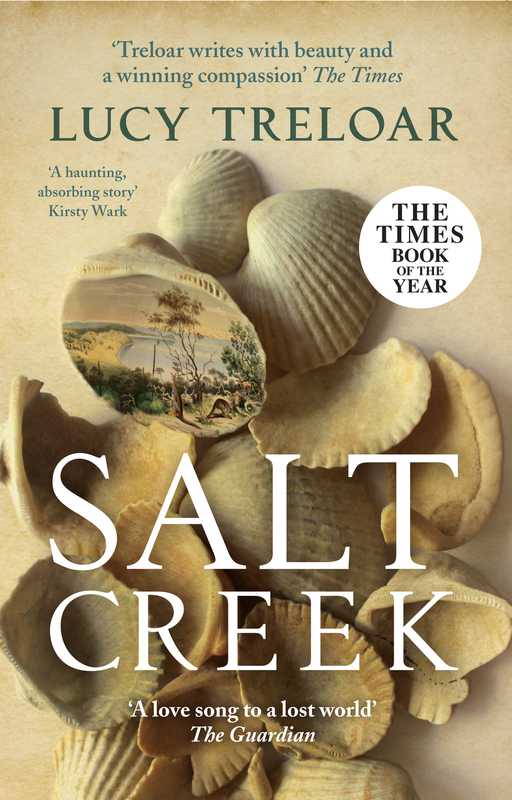 A lusciously told and important book, Salt Creek exposes the impact of white settlement and the dislocation of Australia’s Indigenous people. A novel that once you start it is impossible to put down. including those in his own family. A joy to read. Hester and her family stayed with me long after the last page was turned. For swoon-worthy language and a powerful sense of place this book is a true must-read. I found myself thinking about this book for weeks after reading it. Wish I could find more like it! A magnificent book – hope it wins. I loved this book, it has such a powerful narrative, compelling characters and written with compassionate understanding of the historical context. I recommended it to all my friends and they loved it too. A wonderful, rich, absorbing book by a superb storyteller. My stand-out favourite novel of 2018.